But for OnPrem installations this also present a problem, because our OnPrem customers and consultants want the freedom to do modifications the old fashion way. Extensions in their world (OnPrem with lots of custom functionality) is still far off, until they can have the cake (extensions) and eat it too (do all the customizations the customers want) extension will never get a foothold in this category. So we’ll install our new objects into a customer database, and create an extension that holds all modifications to standard NAV objects. First, we’ll get the RecordRef from the record, then the FieldRef from the field added by the extension. This is the field that is not visible from the development environment, return the value. It looks like a lot of plumbing code, but in our case, we have only added a few fields to standard NAV so the plumbing is minimal. An OnPrem customer database with our ISV solution installed. 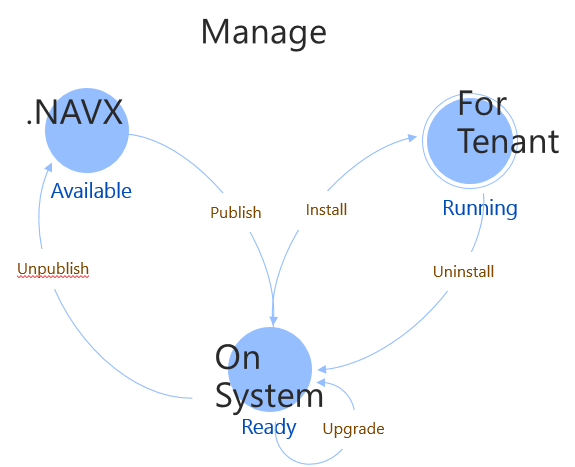 Since there are no changes to standard NAV objects, all forms of upgrading can be automated and maintenance is minimal. The database still has the advantage of having all custom objects available for consultants to do customer modifications, so from that perspective, it is business as usual. The only price to pay to for this is the creation of plumbing code for added fields. If I were in a situation with lots of fields, I would properly create a little code-generator to generate the plumbing codeunit for me. With option 1 and 2 as the default installation choice.